From time to time we’ll be reviewing assorted football books, DVDs and games that have subject matter close to our sepia-tinged hearts here at Beyond The Last Man. If you would like to submit a product for review, please contact us at the e-mail address on the About BTLM page. Score! Classic Goals by First Touch Games. The touchscreen interface of the iPhone and iPad has many virtues, but it’s one that remains notoriously unsympathetic to FIFA-style football action games. With this in mind it’s good to see First Touch Games set out to try to create something a little different in the football genre. They broadly succeed too. Score! Classic Goals in its simplest form is a lovingly compiled, attractively presented scripted game that lets players recreate many of the great goals from international football history. Each goal is presented as a scenario, broken down into the different component stages of its build-up, and each stage must be completed, in turn, to keep the move flowing. This is done by drawing lines on the screen and the power, direction and arc of the player’s swipes must accurately match the goal script as it happened in real life. Hit a pass a few yards wide of its recipient, or overhit a cross and the move breaks down; gauge it just right and the move continues. There’s a pleasing diversity of goal-types, ranging from the single-swipe wallop of that Roberto Carlos free kick against France in 1997, through to the intricate, 22 move pass-fest that led to Cambiasso’s 2006 World Cup goal against Serbia. As no two goals are the same, so no two scenarios here are either which keeps the game fresh as you progress through the numerous stages. SCG is powered by a solid 3D engine that is quick and responsive to user inputs. There’s a decent range of player animations too, so goals that include complex flicks, backheels and knockdowns are well executed. Think of Pelé’s flick over a Swedish defender’s head and crashing volley into the net in the 1958 World Cup Final – a goal successfully realised here. The goal scenarios are grouped under a range of main eras and competitions that includes a whole set from the recent European Championships. Extra goal packs can be acquired through in-app purchases, these extras are discretely advertised and you don’t feel railroaded on every screen into buying them. BTLM followers will be especially interested in some of the other sets that feature many famous, historic goals from the second half of the twentieth century. This is where an added dimension for football fans comes in. Aside from the actual game itself, SCG also works as an encyclopaedic compilation of international goalscoring history. You’ll be introduced to many great goals from the past you might not have seen before, and the manner in which goals are deconstructed will allow you to appreciate the skills of the players involved even more. Brazil’s famous fourth goal against Italy in the 1970 World Cup Final is a case in point: there is something really satisfying about replicating Pelé nonchalantly rolling the ball into space for an overlapping Carlos Alberto to rocket a shot into the net. There are some issues. With the goals broken down into parts, each time you complete a move you get a rating for how well you have executed that particular one and the game pauses until you are ready to continue. This takes momentum out of proceedings for us, as much of the pleasure comes from quick, first-time execution. The scoring system is not really designed to reward this; perhaps having a time limit added to each scenario would help here. Game can sometimes be hindered by reality too. You might be through on goal with an obvious place to aim at, but, if the real goal was scored with a scuffed shot to the centre of the net which the keeper really should have saved, then replicating this is the only way you can complete the move. It is matching reality to be fair, it just sometimes feels a little counter-intuitive. We also found some goals impossible to score, however many times we tried. For example: we just could not find the sweet spot to tee up Manuel Negrete for his famous hitch-kick in the 1986 World Cup and the swerve both-ways shot by Nelinho for Brazil v Italy in World Cup 1978 confounded us too. 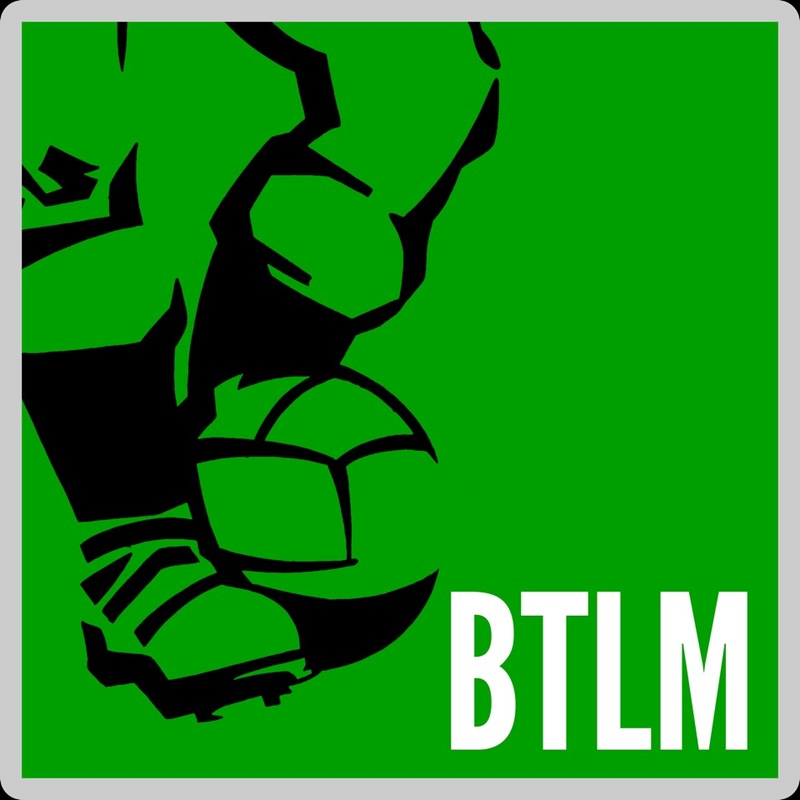 BTLM feels there is real potential for First Touch Games to use the promise we see here to further develop their impressive concept. In the meantime, while Score! Classic Goals has some quirks to iron out; it offers plenty of entertainment for the modest price of 69 pence to gamers and fans of football alike. We look forward to a club version.